The quality of wrought iron rail and wrought iron fence construction depends on the knowledge and expertise of the company building and installing them. Fabricating and building wrought iron rails, fences and gates requires an understanding of the importance and implications of fabrication, assembly, and installation techniques in order to build rails/fences that last a lifetime or more. 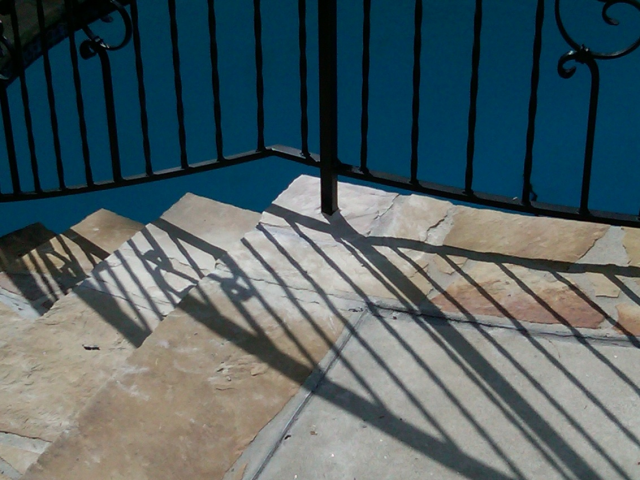 Wrought iron railing is sometimes surface mounted with screws in masonry instead of core-mounted. It is a much weaker method and should be avoided when possible. Core mounting is a far better way to to anchor posts for longevity. Even core-mounted posts can be inferior if done improperly. Under-filling saves material and clean-up labor but leads to a serious problem by allowing water to pool. 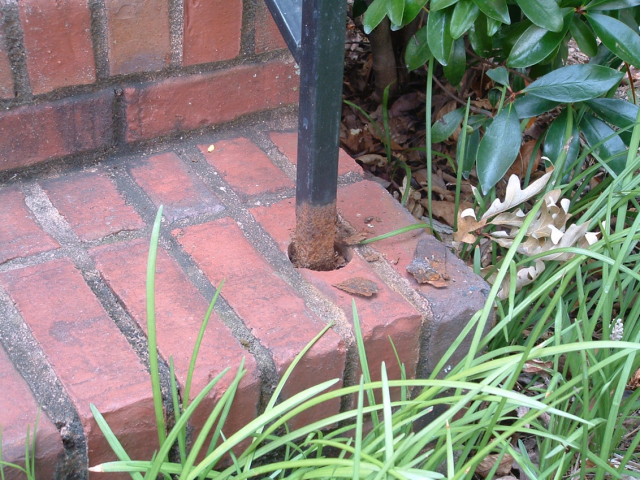 Pooling water deteriorates the rails and can crack the brick or stone if it freezes. Another practice is installing first then painting. 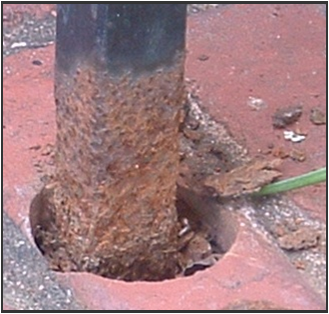 This method prevents a coat of paint on the portion of post that is below the cement line. This leads to a rusting that begins as a thin line around the post at the cement line but that creeps up the post, lifting the paint as it travels. The the illustrations shown here apply to general construction methods for all wrought iron products, (rails, fences, and gates). Wrought iron gates require additional measures because gates are moving parts subject to more stress. They're only supported on one side (by the hinges). Therefore loading conditions are very important factors that must be considered when building a gate that lasts.